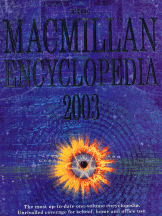 The Encyclopedia's many entries cover the world spectrum of human knowledge, including science and technology, countries of the world, space, natural history, medicine, politics, sport, people, literature, art and history. Entries combine accuracy and detail with a concise and lively style to ensure that this encyclopedia can be used by readers of all ages. For school, homework, library or office use this is an unrivalled resource.